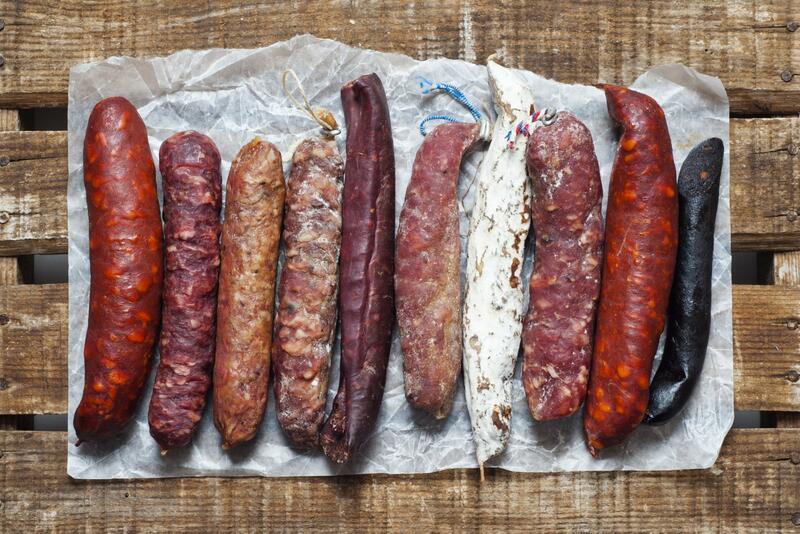 A new range of cured meat related culinary courses will be launching in time for Christmas, providing the lucky recipients with the opportunity to choose from a selection of mouthwatering meaty topics and the giver a unique and practical gift idea. Meat School, the brainchild of British cured meat specialist Sean Cannon, will initially offer courses run from their new purpose built facility in the heart of London's Borough Market as of next year. Working in partnership with a team of British artisans, Meat School will offer a range of courses and tastings, covering different aspects of the meat industry, including butchery, cured meat production, terrines & pates, pie making and sausage making. Lisa trained intensively, under the guidance of master butcher Ray Smith of River Cottage fame and his wife Mary. As first year alumini from the only Artisan food educational establishment in the UK, Lisa finished the year with an advanced diploma in artisan food production and a wealth of knowledge from all reaches of the continent. Three years were spent gaining additional business knowledge and tweaking recipes before starting cured meat production as The Sherwood Charcutier. With a previous life in music and sound engineering, Hugo made the leap into food following redundancy. He has worked with Chef Nuno Mendes, and at the E5 bakehouse. Today he produces cured and fermented meat from the best British animals that he can get his hands on for his company Blackhand Foods. He firmly believes that throwing away food is a sin, so finds ways to utilise every part of the animal with the very minimum of waste. Andrew's passions are meat, food and farming. His aim is to pass on the knowledge he has gained over a lifetime working on the land rearing animals; in the trade, building a reputation as an artisanal butcher and as an advocate, of promoting better understanding of the meat we consume. A full day course including lunch, beer and meat to take home will range from £160 - £220, with a half day course including beer and meat to take home ranging from £80 - £110. A range of shorter introductory tastings and beer/wine pairing talks will also be on offer. All bookings made in December (only 16 courses available) receive a Cannon & Cannon cured meat selection plus a presentation voucher. The web site will go live on December 1st with full details and courses to purchase. For further details, please contact Andre Dang at Andre Dang Communications.